Molecular protein volumizer – Increase structure 3X! 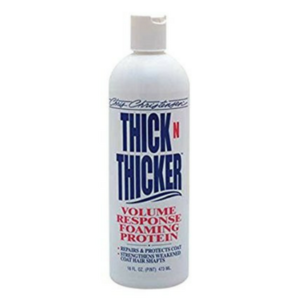 Thick N Thicker Volume Response Foaming Protein will add astonishing volume to any coat type. Replenishes lost protein, creating a striking volume by implanting a high volume of low molecular weight proteins into the hair shaft. The dense compact foam base allows easy distribution of the high volume, low molecular proteins throughout the entire coat. 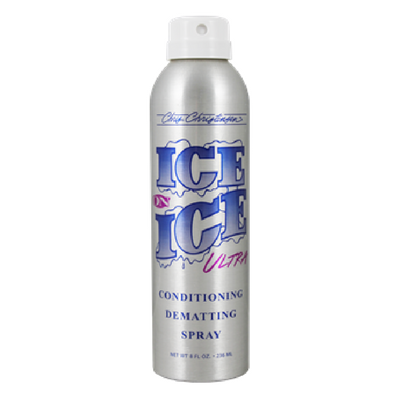 Naturally volumizing thin, skimpy coats while repairing and protecting coat hairs. 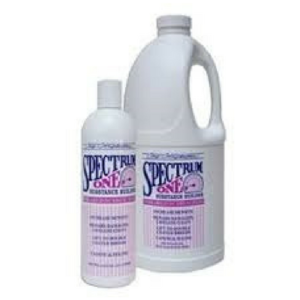 Strengthens weakened coat hair shafts and repairs split ends. Chris Christensen Systems Thick N Thicker Volume Response Foaming Protein will add astonishing volume to any coat type. Replenishes protein loss creating a striking volume by implanting a high volume of low molecular weight proteins into the hair shaft. The dense, compact foam base allows easy distribution of the high volume, low molecular proteins throughout the entire coat. Naturally volumizes thin, skimpy coats while repairing and protecting coat hairs. Strengthens weakened coat hair shafts and repairs split ends.